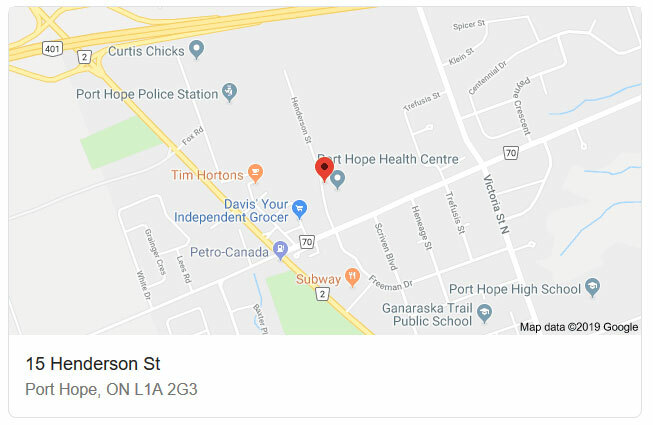 Physiotherapy at Port Hope Health Centre is directed at evaluating, restoring, and maintaining physical function which may have been lost due to injury, age, or disease. Our Physiotherapists will conduct a full history and physical examination and develop a treatment plan designed to ensure the quickest healing time. Treatment will start on the first visit and results can often be observed immediately. How to physiotherapists treat injuries? In addition to hands-on treatments and exercise prescription, Physiotherapists often use manual techniques, various exercises, medical acupuncture, electrotherapy, athletic taping, work hardening, and lifestyle coaching to promote and maintain optimal health and function, and prevent future body dysfunctions and injuries. 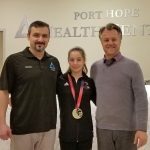 Our Physiotherapists at Port Hope Health Centre are an integral part of our healthcare team and often work alongside Physicians, Chiropractors and Massage Therapists in the evaluation of your condition and throughout your treatment plan. We openly refer to and co-manage patients with our colleagues in order to maximize the accuracy of the diagnosis and effectiveness of treatment and rehabilitation. 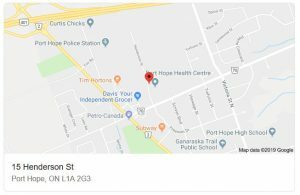 To see one of our Port Hope and Cobourg Physiotherapist today, call 905-885-5111.